Style Source Magazine | One 'n Only Argan Oil Restorative Mask 8.5 oz. 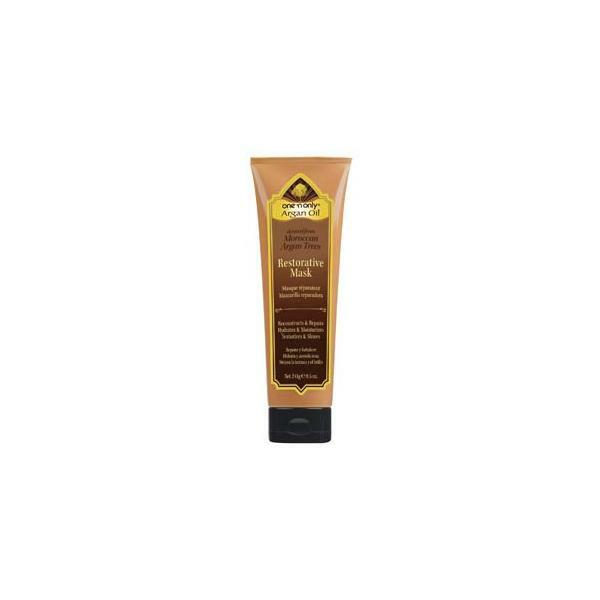 Home /	Solutions / Damaged/Split Ends / One 'n Only Argan Oil Restorative Mask 8.5 oz. 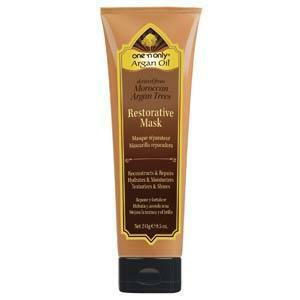 One 'n Only Argan Oil Restorative Mask 8.5 oz. One of the world's rarest oils, argan oil is derived from the Moroccan argan tree. Rich in essential fatty acids, Omega 6 and vitamin E, it is valued for its ability to regenerate and nourish dry and damaged hair. One 'n Only Argan Oil Spray Treatment 6 oz.